• Use on a variety of surfaces including wood, MDF, metal, plastic, tile, masonry, plaster and uPVC. 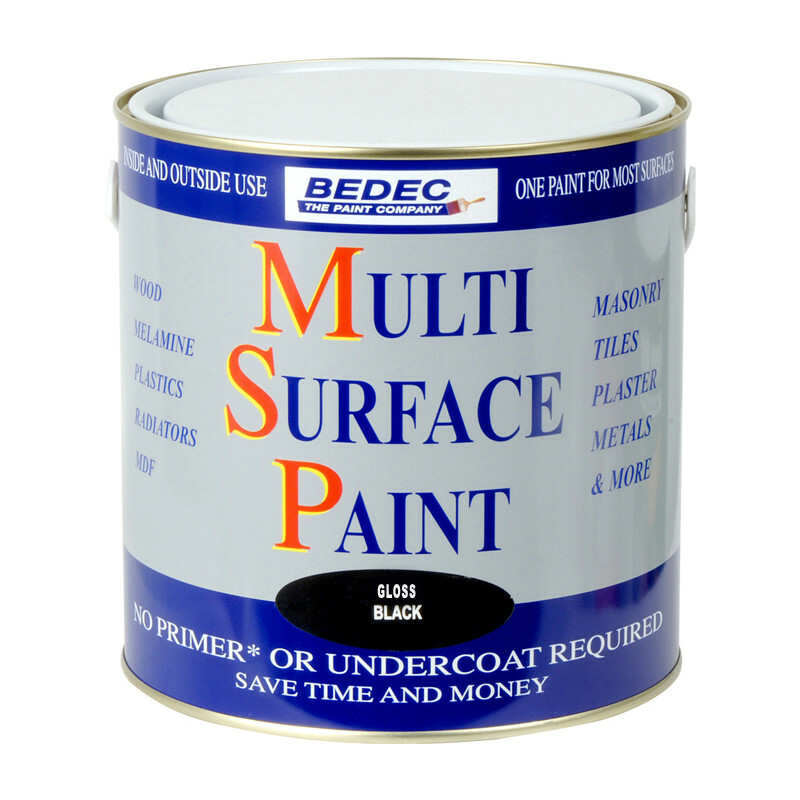 Bedec Multi Surface Paint Gloss Black 2.5L is rated 4.6 out of 5 by 84. Rated 3 out of 5 by Kentheweld from Waterbased problems again Opacity was not brilliant even though it was applied onto a white undercoat. A second coat was required and I must admit it seemed to flow better but still left brush marks. You must work quickly. I masked all areas so there was no cutting in. There is no way you can overpaint areas after 2-3 minutes as it has a tendency to pick up. It was difficult painting a door with a foam roller and trying to get an even finish. Thinning was previously mentioned and that seen to work best but you could still see patches when viewing the finish. The paint boasted non-yellowing and as that is my beef with spirit based white paint this was the main reason for trying an alternative. I hope it lives up to the hype! In conclusion overall the finish was acceptable but you need to jump through hoops to get there. Drying time was fab for recoating and handling. 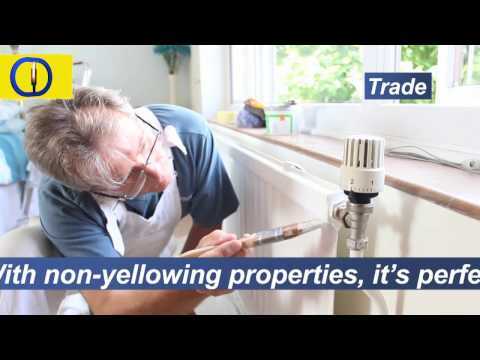 If it stays white I will reconsider but if it yellows then it is not worth the extra effort. Rated 5 out of 5 by Thevdsy from Tough all rounder Easy to apply quick drying paint that covers all surfaces and has a tough durable finish. Used on my conservatory that gets a battering from wind and rain. Rated 5 out of 5 by Meech from Sooooo easy!!!! This stuff is incredible, I’ve used so many paints over the years, this is effortless. Purchased to repaint areas around the front of our house... Gas & Electrical Box, copper pipes and a wooden support for porch. 750ml can and barely used a fifth of it. So smooth and leaves a lovely satin finish, next to no prep required just made sure there wasn’t any loose paint and that surfaces were clean. Very happy with the finish.